Kindergarten students at Chippewa Elementary School celebrated the 100th Day of School earlier this week by engaging in a variety of fun-filled activities, contests and exercises associated with the number “100.” Students energetically dressed as if they were 100 years old, fast-forwarding themselves in time with mustaches, curlers, bifocals and aged attire. In addition, students performed various educational exercises such as counting items by tens until they reached 100, used hands-on props and totally immersed themselves in the idea that they have reached the centennial mark of the school year. 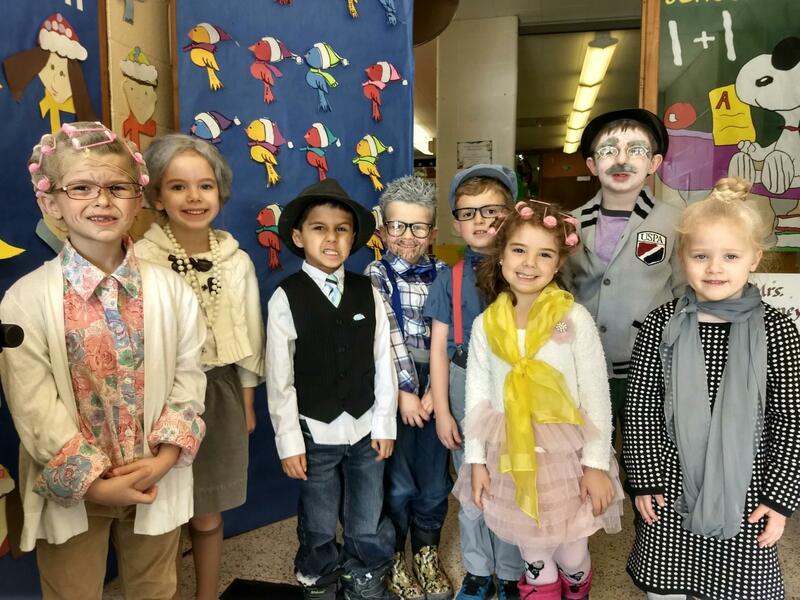 In some way during the school year, all kindergarten students celebrate the 100th day of school with a heightened level of creativity and fun. Congratulations to the kindergarten staff at Chippewa for celebrating this milestone with a dynamic blend of instructional inventiveness.